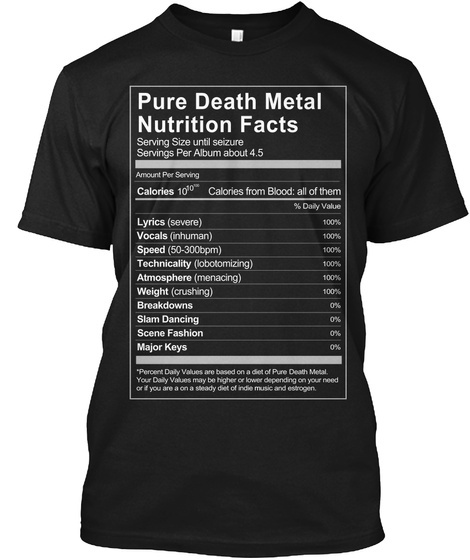 Fantastic design of PURE DEATH METAL NUTRITION FACTS. Get it now! Death Metal Memes, Metalhead T Shirts, Musician T Shirts and Hoodies. Check out our CLOTHING STORE for many more!